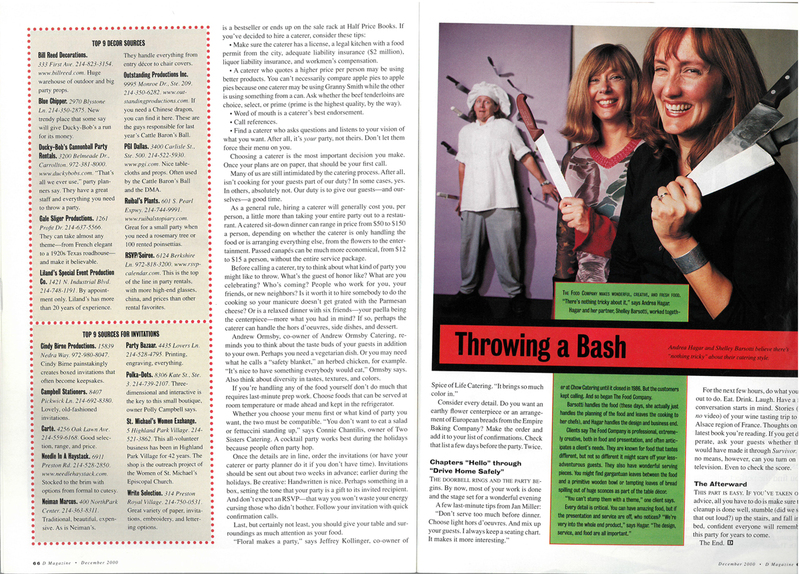 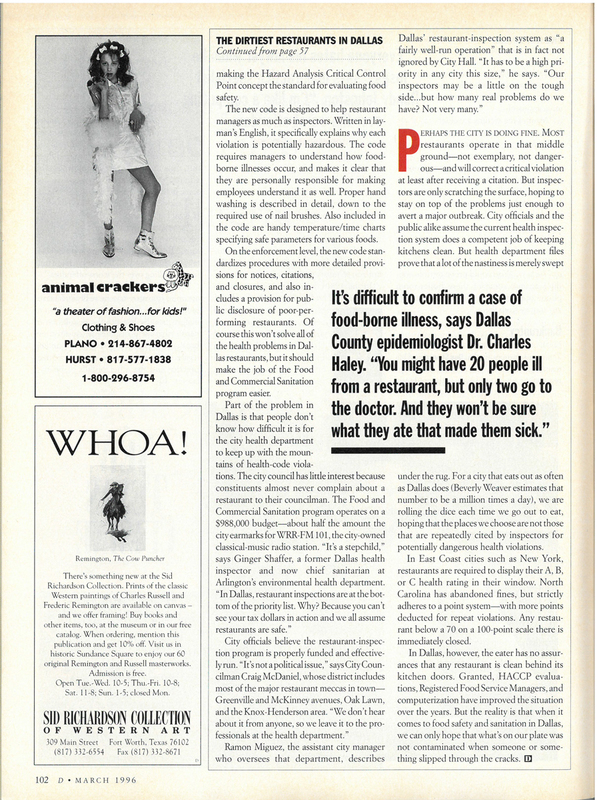 The December 2000 issue of D Magazine features a glorious seven-page spread on party planning in Dallas. 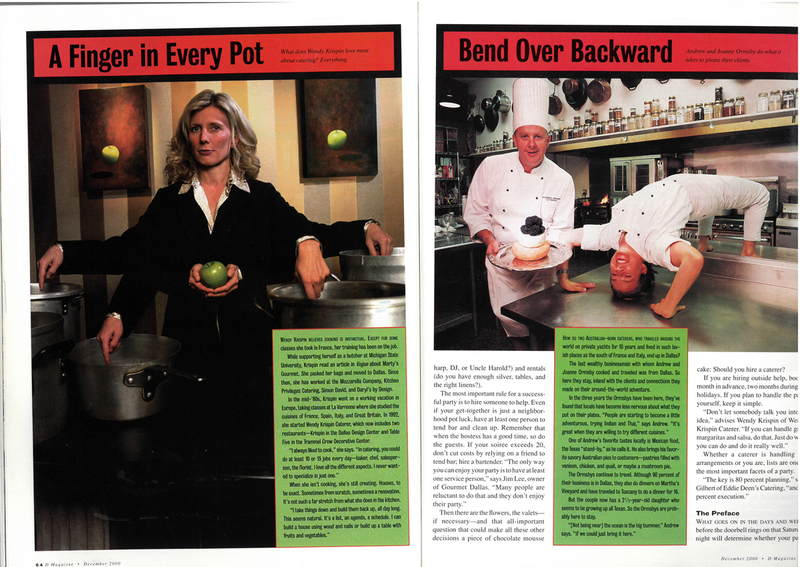 The story highlights the best caterers, florists, bakers, and more. 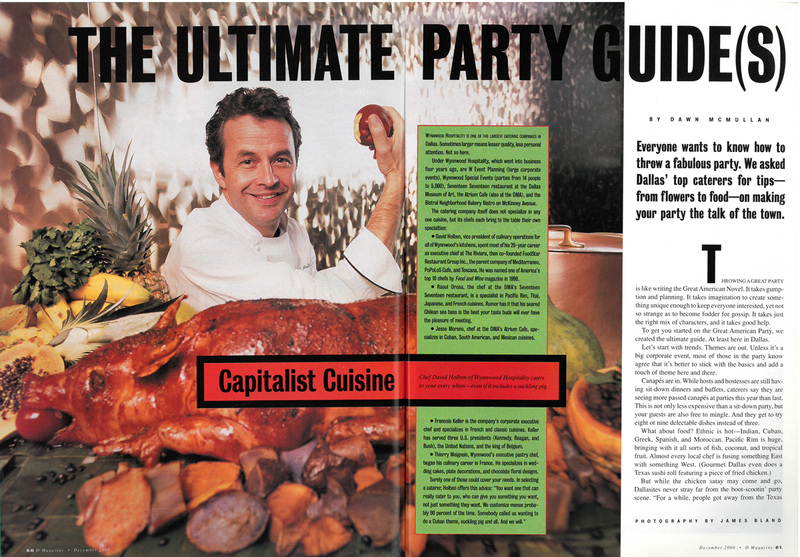 The piece is an insightful look into soiree planning at the time, but it’s the playful photography by James Bland that really makes this a memorable spread.